Investing can be as complex and time intensive as you want to make it, but in my experience, unless you’re going to make it a career, investing should be simple and automatic. People often confuse investing with saving. Saving is when you put money away for a short period of time to buy something later, or to hold you over when times get a little tough. 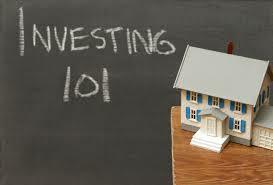 Investing is when you put money into an investment and leave it there for a long period of time and let it grow. Done right, it can serve as a source of income in your retirement. There are rules that you should always follow when investing that can save you a lot of headache. There is a lot of advice, or noise out there that will try to deviate you from these rules. Know these rules, and refer to them when considering an investment. Max out your 401 K (RRSP and TFSA for Canadians) and have 3 – 6 months of salary saved as an emergency fund. Having this in place gives you and your family security, and will allow you to sleep at night. Dollar cost averaging: Don’t try to time the stock market by buying low and selling high. Every edition of the business section in your newspaper is full of tips. Ignore them. You may get lucky a few times, but over time it’s guaranteed you will lose. Instead, put money into the stock market continually over time. This will smooth out the peaks and valleys of the stock market and provide diversity. Avoid picking stocks altogether. Instead, buy an index mutual fund or an index-based exchange-traded fund (ETF) which track the performance of of an entire index instead of an individual company. Over time they will provide you lower costs, broad diversification, and tax efficiency when compared to individual stocks or traditional mutual funds. Any financial advisor or broker who tells you they can beat the market consistently is lying to you. If anyone was able to make more than the market average of 7% year after year, they would not need your money. Focus on funds that mirror the market and keep costs low. Further to ETF’s which are my preferred vehicle; buy a diversified portfolio that allocates a certain amounts to bonds, and equities (stocks). Further diversify by buying domestic, and international funds. I prefer to use Vanguard ETF’s due to their low cost and simplicity. They have an excellent ETF selection tool you can check to find the best portfolio for you based on current savings, comfort with risk, years to retirement, etc. An excellent source for Canadians is the Canadian Couch Potato. Once you’ve decided on a mix of ETF’s for your portfolio, make sure you rebalance it once a year by selling some of what’s performed well, and buying the under performers. Don’t check your investments everyday. Remember you’re in it for the long haul. A review of your portfolio once a year should be sufficient. Learn the power of compound interest. It will give you the resolve to stick with your investments, and keep you from diverging from the above rules. I made mistakes when I first started out investing by listening to friends who had a “hot stock tip” or reading newspaper articles that claimed to know what a stock was going to do. I made some money, but I also lost. Following the above rules will serve as a solid foundation and hopefully save you from similar mistakes.